We’re less than a week away from the start of October (how did that happen?!) and that means another list of what’s coming and going for streaming services. Bell Media’s CraveTV has shared today a list of new titles you can expect for next month. 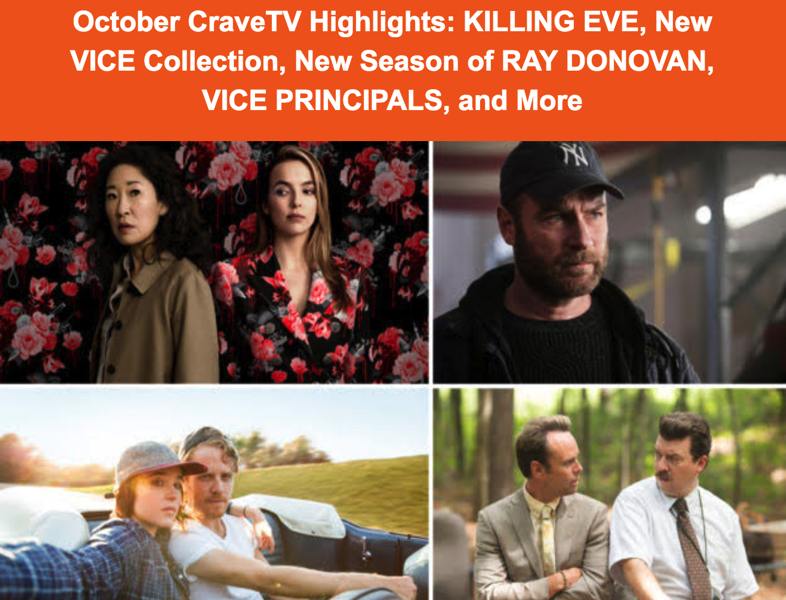 Just yesterday, Bell announced it had redesigned CraveTV for desktop users on the web, adding user profiles and improved navigation, to go with a new web URL, crave.ca. The new features are coming soon to iOS, Apple TV and Android soon.